McCarron 94. Drypoint on laid paper, full margins. Edition of 70, including 6 trial proofs. 10 5/8 x 11 7/8 inches; 27 x 30.1 cm. An unusually rich impression in of Martin Lewis’ famous drypoint, in very fine condition. This impression was in its original 1931 frame from Kennedy Galleries, with a December 13, 1931 New York Times inside. 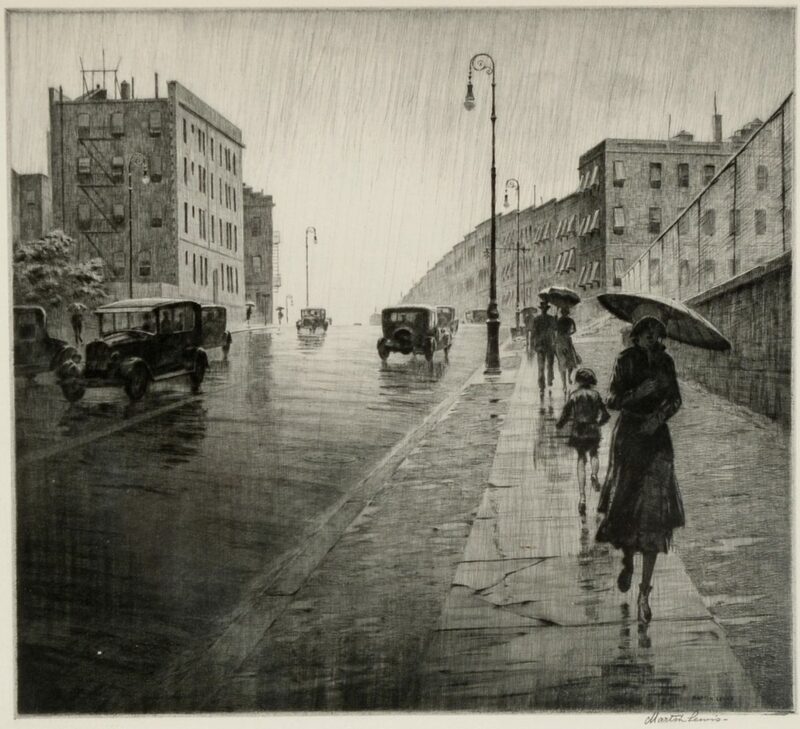 Rainy Day, Queens is a testament to the artist’s technical virtuosity in capturing the moody effects of a rainy street scene.